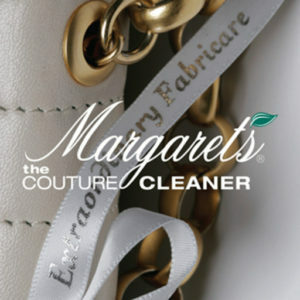 Margaret’s Cleaners provides extraordinary couture garment care and repair with free pick-up and delivery. Our five locations are conveniently located in La Jolla, San Diego, Del Mar, Newport Beach California and also in Los Angeles/Beverly Hills. We also have pick-up and delivery throughout the Las Vegas area. If you live outside our delivery areas, don’t despair! For your finest items we offer our CleanByMail nationwide.